to win in the end." "He was the Charles Lindbergh of the Gay Movement." "He had the knack for taking your heart and making it catch for a moment. He seemed to make people want to be braver than perhaps they were." has earned it. If I were in charge of these things, I'd give it to him." for killing two men and a discharge for loving one." of our role models, our heritage, our history, and our future." AFTER BEING ONE of the leaders in Miami's anti-Anita Bryant campaign, he moved to San Francisco where, from his apartment overlooking 18th & Castro, he repeatedly answered the community's call to help fight for LGBT rights once again. He crisscrossed America raising money to defeat Proposition 6, the Briggs Initiative, which would have banned gay teachers in California schools, and Proposition 64 that threatened to quarantine people with AIDS. "The Pope is wrong. I am not 'intrinsically evil'. We are a moral people! We will do everything we can to make this world a better place. We are letting our love and voices be heard." Reagan Administration's passive genocide by AIDS, and was still speaking out for equality in the rain falling on a Sacramento gay rights demonstration just six weeks before he died on June 22nd, 1988. 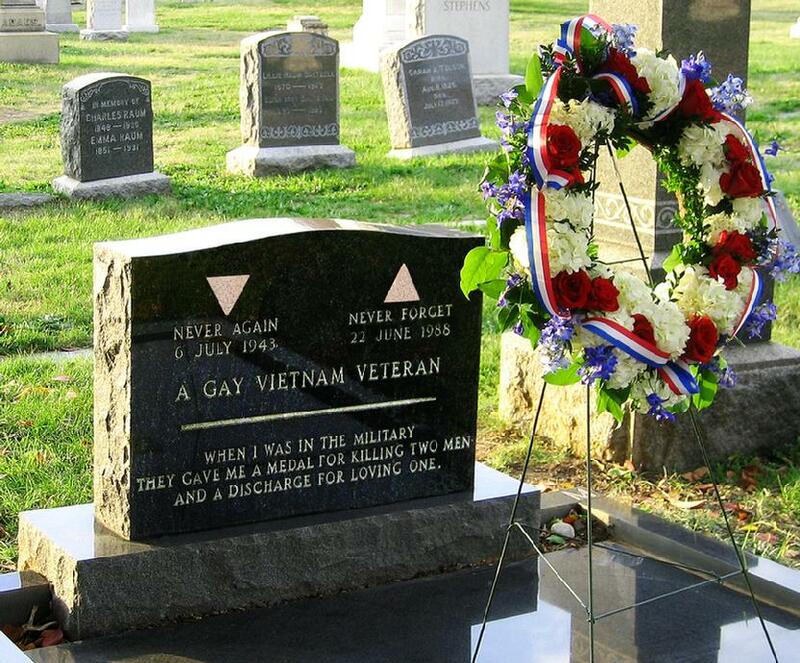 REMARKABLY, A GROWING NUMBER of other out gays, particularly veterans, have since chosen to be buried near him in Congressional Cemetery, while others have been married there. His name and example were echoed again and again in the struggle to overturn Don't Ask, Don't Tell which was essentially nothing but "old wine in new bottles." Both The Advocate and Philadelphia's Equality Forum have honored him as one of the Movement's great heroes. On the 20th anniversary of his death then-San Francisco Mayor Gavin Newsom declared it Leonard Matlovich Day in San Francisco, and a bronze plaque marking where he once lived in the Castro was dedicated. In 2009, four generations of gay rights activists honored him in Washington DC, and he is memorialized in Chicago's "outdoor museum" of LGBT history, the Legacy Walk. Photo by Leonard's close friend, Brandon Wolf. 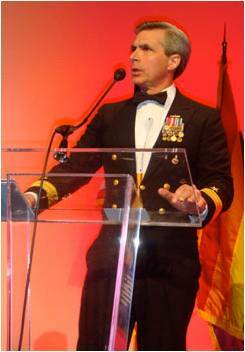 <?xml:namespace prefix = o ns = "urn:schemas-microsoft-com:office:office" /> Technical Sergeant Leonard Matlovich was probably the most famous gay man in the country in the 1970s. His face was on the cover of Time magazine, and NBC made a movie of his story. He declared his orientation in 1975, long before “Don’t Ask, Don’t Tell,” and despite his exemplary service, combat tours, and medals, he was discharged six months later with a general discharge. 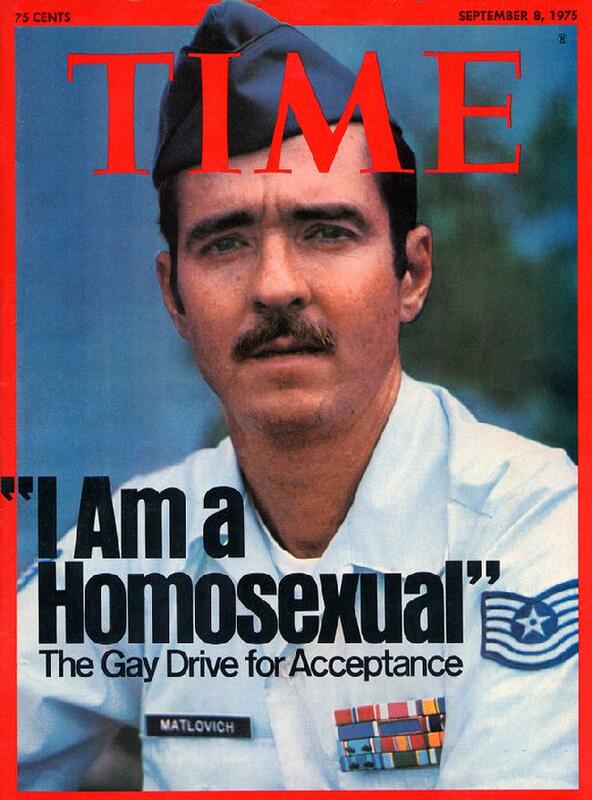 But the bravery which had served him so well in Vietnam served him in a fight with the Air Force for his civil rights, a fight which resulted in dignity, an honorable discharge and a ray of hope for gay service members. So the tombstone was not the end of the story. 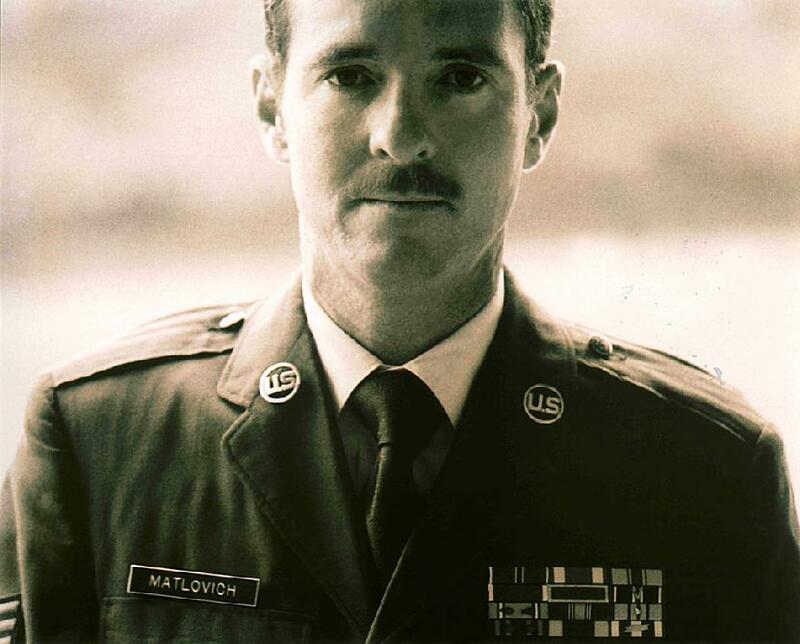 Sergeant Matlovich’s fight still continues. So with that story from history, let me ask you a historical question: when did the American Revolution end? It hasn't ended. It is still going on. The American Revolution continued with the Emancipation Proclamation and with the 13th Amendment ending slavery. It continued with Susan B. Anthony and the fight for the right for women to vote. The American Revolution continued with Rosa Parks, Thurgood Marshall and Dr. Martin Luther King, Jr. . . . And the American Revolution continued in the fight of Sergeant Leonard Matlovich. And it continued in the fight of Sergeant Darren Manzella, and CDR Zoe Dunning, and in the fight of so many of you here, including the fight of Major Margaret Witt. Purchase this song sung by the out & outstanding John Barrowman, his CDs, new autobiography, & DVDs of his starring role in the BBC sensation "Torchwood" by clicking on his photo.